Has your physician recently prescribed you some blood tests and you got to know that you have to fast before giving your blood samples? Well, blood tests are one of the most accurate, faster and easiest way for diagnosis of various kinds of health conditions for patients, irrespective of their age and types of ailments. 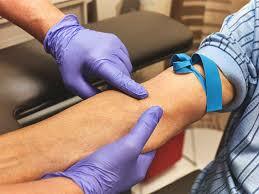 And for different kinds of blood tests, there are different directions as well as requirements. So, you might come across a few blood tests that will require you to be fasting before you give the blood sample. You must have wondered why fasting is necessary for certain examinations when it is not for others. Why Is It Important to Fast Certain Before Blood Tests? When you are consuming food, it is going through the whole system of digestion and absorption. As a result, the state of your organs changes after you have your breakfast. However, there are certain tests which require getting the accurate results so that the doctors can suggest the right kind of prognosis for the patient. In that case, it becomes necessary for you to fast for few hours before you give your blood samples for examination. This way the food you intake generally won’t affect the organs and the blood counts and the result would be accurate which will eventually help in your better treatment. Now, you must be wondering which tests are the ones that require you to fast. Take a look. These above-mentioned tests are generally known to be conducted when you are fasting. But apart from them, there can be more specific kinds of blood tests for a different advanced diagnostic procedure that will demand you to fast. In such cases, clarify with your physician before you head for the labs to get the tests done. Asks the physician for proper medical advice and diligently follow them. Don’t overfast. The general limit of fasting before the test is 8-12 hours. More than that is not healthy. Don’t exercise before the test. As you will be fasting, it might drain your body of glucose. So, now you are educated about the necessity of fasting before blood tests, follow the instructions. If you are wondering from where you can get accurate results of your blood tests, then come to us at Dr.Lalchandani PathLabs. We provide you world class diagnosis facilities along with 24 hours open service for any emerrgency also with the advantages of home collection and immediate accurate results. Your health is our topmost priority. Call us today at 8010689689.